Are you planning on Grilling Apricots? 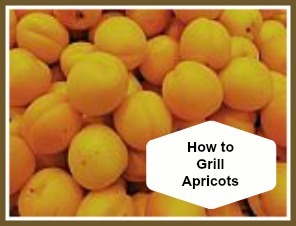 Here is How to Grill Apricots, and Recipes to make with grilled, (or barbecued) apricots. 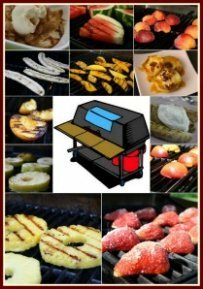 Grilling fruit has become a popular choice for snacks and desserts, especially when the remainder of a meal is centered around the barbeque. Why not include a barbequed dessert? And, what healthier choice than a fruit dessert? How to Grill Apricots on the BBQ! Grilling apricots can be done with apricots alone, or in combination with other fruits. Apricots can also be barbequed as part of the ingredient in a dinner barbeque menu, often paired with a variety of meats. Be creative, and pair them with savoury foods such as cheeses or fresh herbs. I like to grill apricots and other stone fruits when they are fresh, in season in the area in which I live. I believe that fresh, tree ripened fruit, excels in flavour and in texture. Grilling fruit, such as apricots, over direct heat brings out and caramelizes the natural sugar in apricots. Your taste buds will be treated to a fabulous flavour of warm, delicious (and healthy!) fruit. Be sure to use ripe apricots but not apricots that have overripe. Heat up the grill, and let's get started! Scroll down for fabulous, easy to make recipes using grilled apricots! Preheat or prepare the grill for medium heat. Cut the apricots in half, and remove the pit. In a bowl, mix together 1 tbsp. olive oil, and 1 tsp. honey (for 6 apricots). Gently brush the mixture on the apricots. Oil spray bottles like the one pictured below are a great aid to grilling fruit --- and are great for adding oil to a leafy green salad too! 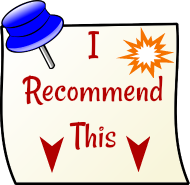 YOU choose the type of oil! Grill, cut sides down, until grill marks appear. Turn, and continue grilling until the fruit is softened. Total grilling time is about 6 - 8 minutes. Remove from the grill and sprinkle with salt and pepper. Let cool, and slice to eat, or add to a dish of your choice! ENJOY the awesome "taste" of summer goodness! Try the following Grilled Apricot Recipes for a unique grilling experience!